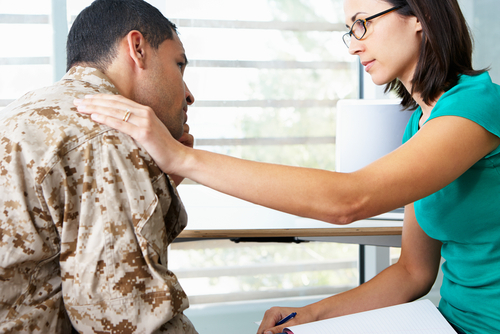 Veterans returning from deployment in Southwest Asia who have respiratory symptoms may be difficult to diagnose, according to a study published by Michael J. Morris, MD, of San Antonio Military Medical Center in the American Thoracic Society’s American Journal of Respiratory and Critical Care Medicine. Study participants were evaluated within six months of returning to their duty station. Tests included full pulmonary function testing, high-resolution chest tomography, methacholine challenge testing, and fiberoptic bronchoscopy with bronchoalveolar lavage. If warranted, lung biopsies were also performed. Participants also completed a questionnaire related to deployment history, airborne exposures, smoking history, pulmonary symptoms, and medical treatment. No specific diagnoses could be made in 42% of patients. Twelve percent of participants tested as normal but had an increased number of neutrophils or lymphocytes that are associated with asthma. Airway hyperreactivity was found in 36% of participants: 16% had asthma and 20% had nonspecific airway hyperreactivity. No participants required a lung biopsy after imaging. Unrelated to airway symptoms, a significant 66% of participants had underlying mental health and sleep disorders. This seems to agree with the knowledge that military personnel often suffer from post-traumatic stress disorder.